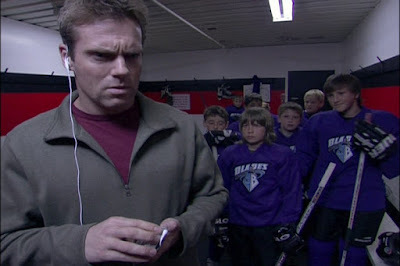 Under the Mistletoe is a 2006 movie which stars Michael Shanks as Kevin Harrison and Jaime Ray Newman as Susan Chandler. Susan lost her husband in a car accident the year before and her son Jonathan (Burkely Duffield) claims that the ghost or spirit of his father has returned and talks to him, his snotty and smack worthy attitude combined with financial pressures has the first christmas without her husband becoming a bit of nightmare. Susan meets Kevin after she rams his car while she was talking on the phone, it's not a great first meeting and the second meeting is after Jonathan attacked a fellow student and she is called in to talk to the councillor and yep Kevin is the new school councillor. 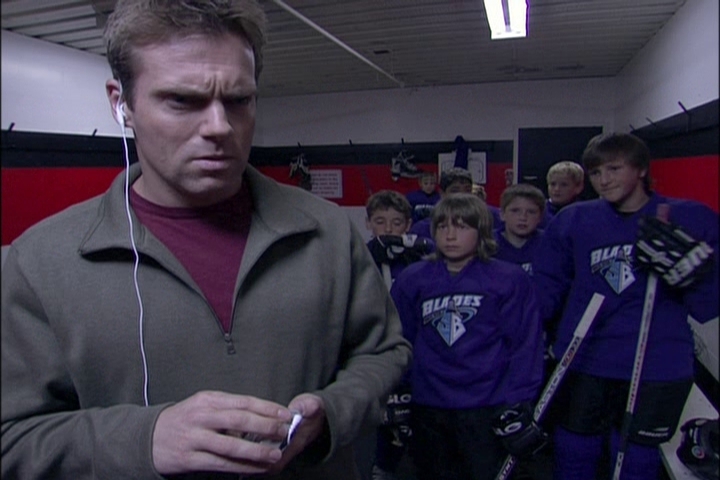 Hockey is involved in this movie.